That’s exactly what you’re thinking, right? Well we can, and we are! One of our main goals is to provide you with a wide range of KYZ Pulse Products, and to continue to meet your needs in any way we can. This includes offering variations on our standard units. Keeping this mission in mind, we are introducing 3 new products; the PTR-2PS, the LMR-111PS, and the LMR-121PS. The PTR-1PS is great for transmitting pulses over long distances (up to 4 miles) from the meter to a CLR current loop receiving relay. 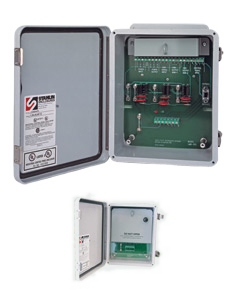 But if you are unable to obtain power from the meter, the PTR-1PS and a CLR are no longer viable options. Well with the PTR-2PS you no longer have to worry about power issues. The PTR-2 is capable of doing the job of both the PTR-1PS and a CLR. As long as it’s located within 5,000 feet of the meter you’re good to go! Struggling because you need access to the power supply on an LMR-1PS? Many times a system integrator or service provider needs to power equipment like radios, recorders or other instrumentation from the meter. This is now possible with the LMR-111PS or the LMR-121PS. 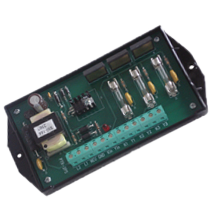 Just decide if you need one output (LMR-111PS) or two outputs (LMR-121PS) and you're set! Next Article: What is Demand? Previous Article:What are KYZ Pulses?